Nature Chemical Biology paper about LDHA alternative substrate utilization at low pH is out! At low pH, such as under anoxic conditions relevant to diseases like cancer, some metabolic enzymes like LDHA can shift their substrate preferences and cause the accumulation of metabolites that lock the cell into pathogenic states. The mystery of how and why these enzymes start to prefer alternative substrates has lingered. In a paper from the Thompson laboratory at MSKCC just published in Nature Chemical Biology, graduate student Ariën S. ("Bas") Rustenburg in the lab, together with collaborators from the Gunner lab at CCNY, used modeling to show how protonation state effects explain why substrates like alpha-ketoglutarate that position a carboxylate tail proximal to LDHA's Q100 greatly increase turnover rates at low pH. L-2-Hydroxyglutarate production arises from noncanonical enzyme function at acidic pH. Andrew M. Intlekofer, Bo Huang, Hui Liu, Hardik Shah, Carlos Carmona-Fontaine, Ariën S. Rustenburg, Salah Salah, M R Gunner, John D. Chodera, Justin R. Cross, and Craig B. Thompson. I had the great pleasure of being the final speaker at OpenEye's ever-stimulating CUP meeting in Santa Fe, NM, now in its 17th year. David Mobley and I were able to demonstrate the ease by which hydration free energies could be computed on GPUs in the cloud using open source tools. I had a wonderful visit to give the Harvard Widely Applied Mathematics Seminar yesterday! Many thanks to Alpha Lee, Michael Brenner, and all of the other scientists I spoke with about their exciting research. In collaboration with the Nicholas Levinson lab at the University of Minnesota, we have just published a paper in Nature Chemical Biology using experiment and simulation to probe the mechanism of allosteric activation of Aurora A kinase (AurA). AurA is found to be hyperphosphorylated in approximately 10% of melanoma patients due to mutations that deactivate the protein phosphatase PP6, leading to defects in chromosome segregation and genomic stability. AurA kinase plays two distinct roles in mitosis, with a centrosomal pool of kinase activated by phosphorylation similarly to other kinases, but a separate pool controlled by a more exotic mechanism of binding to the spindle-associated protein Tpx2. Using an aggregate of several microseconds of data generated on Folding@home to study wild-type AurA and some engineered mutants, we helped the Levinson lab puzzle out a key role of highly stable waters localized in the active site that mediate allosteric communication in the Tpx2-mediated activation of AurA. Soreen Cyphers, Emily F Ruff, Julie M Behr, John D Chodera, and Nicholas M Levinson. The trajectory data itself is too large to share via GitHub, so we make it available via the Open Science Framework. We've shared on Figshare a microsecond trajectory of the human tyrosine kinase ABL1 kinase domain generated by our lab on Folding@home for an openpathsampling-related project, but we figured this may be of general interest! Thanks to postdoc Sonya Hanson for putting this together. Optimized clang builds of both Anaconda packages and ZIP installers, offering anywhere from a 30% to 50x boost for some applications that use the CPU platform. Custom Forces can now compute energy derivatives with respect to global parameters! Lambda dynamics can now be implemented via a CustomIntegrator. Bonded forces can now use periodic boundary conditions. See the OpenMM SimTK page for more information on the beta release. Feel free to give feedback there, or on the OpenMM GitHub issue tracker. I had a fantastic time visiting the computational chemists at GSK in Collegeville, PA. Here are my talk slides from that visit. Our human kinase domain constructs kit for automated bacterial expression was featured by AddGene in their "hot plasmids" newsletter! 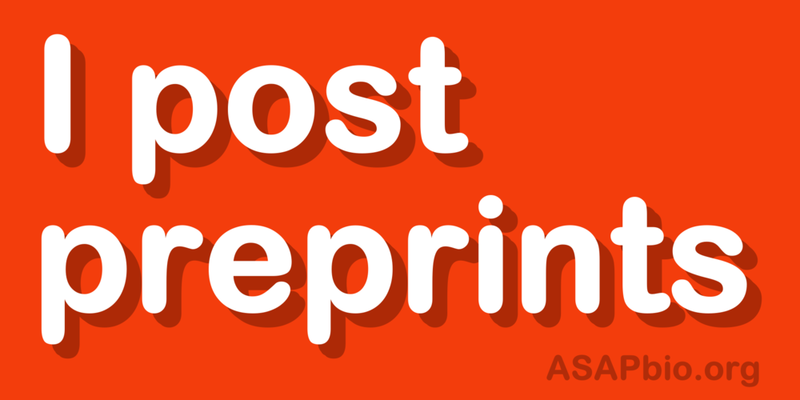 The NIH recently issued a request for information (RFI) on the role of preprints in NIH applications. You can read my response here. Many others shared insightful responses publicly, and ASAPbio has indexed them here. Help us reach one million folders on Folding@home! Our lab is a core member of the Folding@home Consortium, a research network of 11 laboratories around the world that use Folding@home to study the molecular mechanisms underlying cancer and other diseases and identify new routes toward therapies. Together, we are aiming to recruit one million volunteers donating compute cycles to help us! Please join us, especially if you have a GPU: Folding@home can harness the power of your GPU. It costs nothing (other than your electrical bill) and provides a way to donate your idle computer cycles to biomedical research. Slides for my talk at the CCPBioSim Free Energy Calculation and Kinetics Workshop at Kings College London are available here. This will be an outlet to discuss ideas for new molecular simulation algorithms, new analyses of existing ones, interesting results, literature we find exciting, or anything we come up with that may be of use to others! Let us know what you think. The fourth Alchemical Free Energy Calculations in Drug Discovery workshop is already underway, held once again at the beautiful Vertex facility in Boston. We're livetweeting the meeting for those who can't make it, and have set up a new Slack team to keep the conversation going after the meeting. There's even a job postings page to keep track of the abundant new jobs in computational chemistry and alchemical free energy calculations in industry and academia this field has created. We're thrilled to see so much activity, how far the field is come, and certainly how far the field has left to go. Slides from my talk can be found here in PDF format. Postdoc Dr. Sonya Hanson gave a public talk at Genspace on Thu 17 Mar about how computer programs can help us design better cancer drugs. Genspace will post a video of the talk online soon, but here are the slides to tide you over til then. Thanks, Genspace, for a great night! Slides from my talk are available here! The International Centre for Mathematical Sciences (ICMS) held a fantastic workshop over the last week here in Edinburgh, covering multiscale methods for stochastic dynamical systems in biology. It's phenomenal that there are organizations that are strongly committed to supporting the exciting interface between mathematics and the biological sciences, and the enthusiastic discussions at this meeting were a reflection of the enormous potential that work at this interface holds for both fields. These workshops also attempt to engage the public to communicate the importance of this interdisciplinary work through a public lecture series, with Sarah A. Harris delivering a talk on the interface of physics and biology. PDF slides from my talk are available online, and the talks were all recorded to be posted online shortly. I am thrilled to have had the opportunity to speak at the GTC 11th Protein Kinases and Drug Discovery meeting. This was a small, but highly focused meeting with a number of superstars from the kinase field (including Susan Taylor!). For those that were interested, here is a copy of my talk slides. I'm excited to be able to visit the Bio/Nano group at Autodesk in San Francisco's lovely Pier 9 area today!